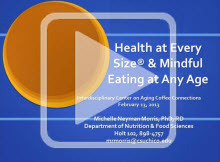 CSU, Chico's Interdisciplinary Center on Aging (ICOA) sponsors talks and workshops on campus by current faculty and guest speakers. 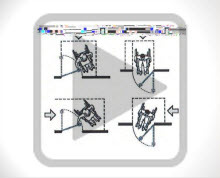 These online recordings allow students -- and the community -- to access the materials anytime, review a presentation multiple times, and print any handouts. Dr. Celeste Jones begins her presentation by providing a definition for “Integrated Healthcare”: “A comprehensive, coordinated, and team-based approach to care and decision-making for medical and mental health reasons.” The ideal situation is that a patient/client can have all of his/her mental, behavioral, and medical care needs taken care of at one site by a multidisciplinary team. This approach to healthcare is patient centered and community based. 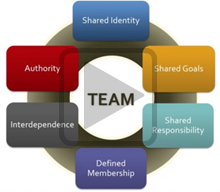 Dr. Jones discusses the attributes and principles of the inter-professional team that is used to deliver this comprehensive approach to health care. He then shares an example of positive changes in a medical institution that were caused by switching to integrated health care – the Veterans Administration Health Care Service in Palo Alto, California. 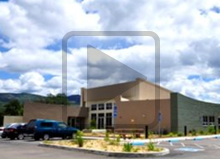 The main clinic of Hill Country Heath & Wellness Center is located in Round Mountain, California, which CEO Lynn Dorroh describes as “such a small town that many people who pass through don’t even know there’s a town there.” The first clinic was built from “two halves of a modular building that didn’t fit together” and started with what she calls “natural integration: one doctor; one therapist (Ms. Dorroh); three tiny exam rooms; and lots of communication.” Today, over 100 employees serve approximately 5,000 patients annually, with a total of 23,000 patient visits. About 1,500 of the patients have a serious mental illness. Ms. Dorroh tells the story of how Hill Country grew and the principles that have guided its multi-faceted approach to health and wellness. Boomers, Gen-X'ers, Millenials: Why Can't We All Just Get Along? Dr. Patty Hunter explores the differences among the current generations and what causes conflicts among them. 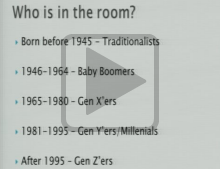 She notes that for the first time in history there are four (and sometimes five) generations in the workforce, which she identifies as Traditionalists (born prior to 1945), Baby Boomers (1946-1964), Gen-X'ers (1965-1980), Gen Y’ers/Millennials (1981-1995), and Gen Z’ers (after 1995). This results in situations where older and younger workers are competing for jobs and where older employees have younger supervisors. One study showed that 60% of employers are experiencing intergenerational conflict. In addition to identifying the different generations, Dr. Hunter explains the dynamics and challenges resulting from various generational perspectives and identifies the benefits of a multi-generational workplace. Loneliness, according to Dr. Patrick Arbore, encompasses a complex set of mental issues. It can be part of the additional complexity of caring for older adults. He is careful to point out, however, that old age and loneliness do not always go hand-in-hand, and that older adults living alone are not necessarily lonely. In his presentation, Dr. Arbore explains the differences between loneliness and social isolation, discusses how to screen for loneliness, describes the effects of loneliness on mental health, and describes methods of compassionate intervention to help older adults who suffer from loneliness. He also provides information about the “24-Hour Friendship Line” that is available for lonely seniors. Seven professionals whose work touches older adults discuss mental health issues for that population. Twenty-five percent of older adults in the United States have a diagnosable mental illness, as well as millions of others of all age groups. In response to the challenges of mental illness, “Each Mind Matters” is a movement of individuals and organizations dedicated to a shared vision of mental health wellness and equality. The organization’s motto is “We believe in healing through action, strength through diversity, and power through collaboration.” The panelists talk about ways to address and reduce stigmas about mental health, and provide information about their agencies’ programs. Each day, thousands of the “Baby Boom” generation reach retirement age, adding to a rapidly-increasing population of older adults. 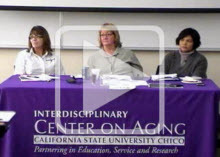 In this presentation, a panel of seven professionals who work in the burgeoning field of gerontology discuss career opportunities. The facilitator is Dr. Seema Sehrawat, who is a faculty member of the CSU, Chico School of Social Work and serves as the Director of the Interdisciplinary Center on Aging. The panel includes: Lyn Dorenzo (Owner, Country Village Care); Joe Cobery (Director, Passages Adult Resource Center ), Dr. Maria Giovanni (Faculty, CSU, Chico Department of Nutrition and Food Science),Dr. Jerry Hight (Assistant Dean, CSU, Chico College of Engineering, Computer Science, and Construction Management), Dr. Michael Leitner (Faculty, CSU Chico Department of Recreation, Hospitality, and Parks Management); and Dr. Shelley Von Berg (Faculty and Clinical Director, CSU, Chico Communication Sciences and Disorders Program). Dr. Leitner is joined for this presentation by CSU, Chico students from his course, Recreation Therapy for Older Adults – as well as by residents from a senior care facility and their activities director. Dances in the style of folk dance, both from a standing and a sitting position, are demonstrated; all of the workshop attendees participate. Dr. Leitner explains the importance of exercise to older adults, stating, “Exercise shouldn’t be a chore; it should be something you enjoy. And dance should be a joyful experience.” Students from his course talk about their visits to local senior facilities and how they assist the residents to get the exercise they need for their health and well-being in a fun and encouraging way. We Honor Veterans is a national awareness and action campaign developed by the National Hospice & Palliative Care Organization in collaboration with the Department of Veterans Affairs. The goal is to provide the best possible care for veterans, while honoring veterans’ preferences. One of the statistics presented especially underscores the need for such services – approximately 680,000 veterans die in the U.S. every year. The speakers describe the health risks that are unique to veterans, which vary depending on the era of service. For example, many World War II and Cold War Veterans were exposed to high levels of radiation due to nuclear cleanup and testing. Some Korean Vets suffer throughout their lives from cold injuries – frostbite, peripheral neuropathy, arthritis. 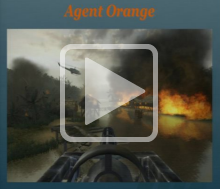 Exposure to the herbicide Agent Orange has led to lifelong health problems for many Vietnam Vets. And veterans from more recent wars in the Middle East have suffered brain and spinal cord injuries from explosives, as well as psychiatric illnesses. Caregivers work to honor veterans’ service, no matter when and how they served. Shannon Scharnberg is one of numerous statewide trainers working to disseminate information for Covered California, the healthcare exchange for the new Affordable Care Act (ACA); aka “Obamacare.” One of her main goals is to lessen fears people may have about the program, especially since it represents a paradigm shift from how the American health care system has worked. In this presentation, Ms. Scharnberg notes that, as of 2012, 5.3 million Californians were without health insurance. She then explains different aspects of the ACA, including the “minimal essential coverage” requirement, eligibility of existing plans (most employer-sponsored coverage already meets the requirements, along with other systems such as Medi-Cal), and benefits. She believes ACA provides an opportunity to focus on preventive health and wellness, rather than only on emergency care and treatment of illness. Professor Salinas has been studying health care reform to the extent that he has read the entire 900-page Affordable Care Act (ACA) and has been keeping up with it as new developments take shape. 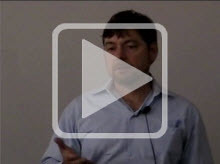 In this presentation, he discusses the historical path to the ACA and compares the current costs and quality of health care in the United States to that in other industrialized countries. He then lists some of the components of the ACA, including reduction of expenditures, sharing of risk, shifting incentives, and preventive care requirements. Rose Krepelka draws from her 31 years in the insurance industry to give perspectives on what the Affordable Care Act (ACA) means to consumers. To start with, she explains the ACA’s guidelines for dependent children, especially the provision that allows children to remain on their parents’ health plans until age 26. She goes on to discuss ACA rules regarding treatment outcomes, employers’ benefit obligations, the push to add younger people into the insurance “pool,” medical loss ratios to limit insurers’ profits, and required plan benefit levels. Shirley Krohn speaks throughout Northern California on behalf of Communities Against Senior Exploitation (CASE). She begins her presentation by showing a short film produced by the California Attorney General’s office that labels financial exploitation of seniors “The Crime of the 2st Century.” The film and Ms. Krohn’s talk look at methods used by predators (including both strangers and elders’ family/caregivers), common scams, and tips on how to avoid becoming a victim. The American Association of Retired Persons (AARP) estimates that there are five million elderly victims of financial crimes annually in the U.S., adding up to an estimated $40 billion in losses. Ethel Byers administers estates for Butte County residents who die with no known next-of-kin or whose next-of-kin/executor is unable or unwilling to act. She also does banking for clients under County conservatorship, which includes people referred from Adult Protective Services or the court system who have been financially abused and/or are deemed unable to manage their own financial matters. Many of those people are seniors. When financial abuse is suspected, her office and Adult Protective Services move quickly to determine whether the person’s financial assets are subject to loss or misappropriation. They can petition the court for conservatorship and, in the meantime, freeze or close bank accounts. Ms. Byers shares several anecdotes about how vulnerable seniors have been exploited by family, friends, and caretakers – and the actions that can be taken to protect them. Under California law, the Adult Protective Services staff of each county is legally required to respond to suspicion of elder abuse, with “elders” defined as individuals 65 years of age and over. Butte County Social Worker Charles Coleman presents a list of the type of abuse his department has seen, including neglect, self-neglect, isolation, abandonment, insufficient physical care, lack of ability to manage financial affairs, and financial abuse by another individual. He states that financial abuse is the second-most reported of these problems. When a suspicion of abuse is reported, the APS social workers investigate. If they find a problem they report it to law enforcement; if warrented, law enforcement reports it to the district attorney’s office. An APS nurse works with victims who have medical issues. Ms. Vagadori explains how organizations – and networks of organizations working together – are using social media in the professional world. 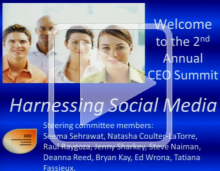 She outlines the benefits of an organization using social media to strengthen its work. Ms. Vagadori also explains how social media can be used to network several local groups together, which allows the groups to connect and be aware of the work that others are doing. Social media is a powerful tool organizations can use to share messages, connect with partners, and advocate for change. Ms. Vagadori points out that, before jumping online and using social media to try to achieve program goals, it’s critical for organizations to develop a strategy to guide their activities. In this presentation, she introduces a four-step process for creating a social media strategy. She presents examples of how local organizations have successfully developed such strategies and launched social media campaigns to bring about change in their communities. Attorney J. Scott Corporon explains ways that LGBT (lesbian, gay, bisexual, transgender) people can legally protect themselves from being taken advantage of in various situations that can happen to older adults. He emphasizes that all couples, but especially non-heterosexual couples, should be very thorough in their estate planning. There should be two powers-of-attorney documents, one for health care and one for financial assets. This allows a person to designate the person of his or her choice to make health care and financial decisions in case of a serious, incapacitating illness or accident. Mr. Corporon emphasizes that clear, unambiguous power-of-attorney documents are especially important if there are family members who do not approve of homosexuality. An additional hospitalization visitation form is important, especially so with same-gender couples. 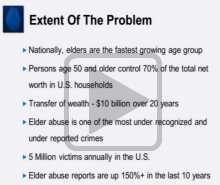 The focus of Ms. Sundin’s presentation is elder abuse. She has seen cases of this in the course of her work as an attorney at the National Center for Lesbian Rights and at a Bay Area law firm. Just as with other aspects of the senior community, older LGBT adults suffer from abuse at the hands of partners, family members, and others. (She notes that 90 percent of elder abuse is committed by family members of the abused senior.) Ms. Sundin states that, legally, elder abuse is “physical abuse, neglect, financial harm, abandonment, isolation, abduction, or other treatment resulting in the physical harm, pain, or mental suffering of an elder.” She gives examples of abuse, and then discusses the responsibilities of mandated reporters and the options available to defend older people against abuse. Mr. Kelem points out that laws are becoming more inclusive of LGBTQ people. Along with that, employees at various institutions are starting to receive better training re LGBTQ issues. This training needs to extend to institutions for seniors, as they can be behind the times – for example, sometimes partners still have difficulty visiting their spouse in hospitals or long-term care institutions such as rest homes and convalescent hospitals. Staff at these facilities need to be aware that elderly LGBTQ people lived under a great deal of oppression when they were younger, with the constant threat of serious repercussions if anyone “found out.” As a result, when they go to a structured environment, such as an elder care facility, they can become withdrawn and frightened. Mr. Kelem emphasizes the importance of the loved ones of an institutionalized LGBTQ person to make sure that person is not being treated differently because he/she is LBGT. Ms. Gill and Ms. Anderson outline programs in Paradise that can help seniors stay in their homes. These programs are especially important in Paradise, which is well-known as a retirement community; 25% of its population is age 65 or older. The Town of Paradise has used part of its community block grant money to help low-income people, including seniors, fix up their homes. The Owner-Occupied Housing Rehabilitation Program weather-proofs seniors’ homes and provides accessibility modifications in such areas as entrance ramps, showers, and toilets. It has been the presenters’ experience that the majority of seniors want to stay in their own homes and desire safe living conditions, financial security, as little change as possible, and to not be a burden to their family or society. The speakers outline building and accessibility options for seniors that they have observed and approved through the county permitting process. They explain that the main purpose of building codes is to provide safe, healthy dwellings. Among the possible dwelling options that can help seniors live semi-independently with extended family include garage conversions and second dwellings such as guest homes and “eco-cottages” (small buildings with a standard floor plan, often with accessibility features already in place). Maintenance and repair of hazardous conditions is important. Permits obtained to comply with the Americans with Disabilities Act (1990) add accessibility features to dwellings. The speakers list many building features that can enhance accessibility for seniors and the disabled, including modified exterior routes, interior routes, entryways, kitchen counters, and bathroom facilities. The speaker, a licensed general contractor and CPA, works with Trilogy, a Northern California construction company. 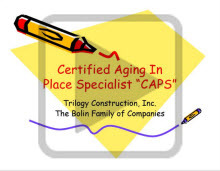 Trilogy, along with other contractors, designers, and aging professionals (such as occupational therapists), has completed the Certified Aging in Place (CAPS) training, which is administered by the National Association of Home Builders. The focus of CAPS training is to help older adults remain in their homes safely, independently, and comfortably. Ms. Dunn illustrates her talk with photos that show construction practices used by her company to make all areas in a house more accessible for seniors. 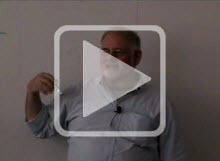 Dr. Shafer taught at CSU, Chico for 30 years. During that time, he developed and taught a course called “Human Stress.” His approach to the class, and to stress management, is to combine ideas from a variety of disciplines, including sociology, psychology, exercise physiology, economics, medical science, and behavioral medicine. He explains that there is both “good” and “bad” stress, and presents the concept of “hardiness” in relation to how individuals cope with stress. He concludes by describing several stress management techniques. A panel of presenters explores the roles of traditions, rituals, and beliefs in caring for severely ill and dying older people. The speakers share how end-of-life issues are experienced by the Mexican, Jewish, Korean, Hmong, and Indian cultures. 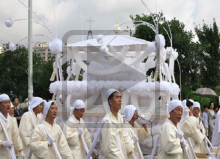 These include different traditions around death and dying. In addition, Andrea Rioux, a hospital social worker, talks about cultural considerations when older people are hospitalized and when they die in the hospital. Presenters and the cultures they represent include Seema Sehrawat (Indian), Art Sanchez (Mexican), Loretta Steinke (Jewish), Gunhye Kim (Korean), and Rebecca Vang (Hmong). 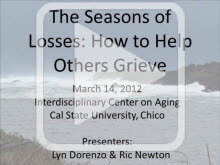 This presentation is one of a series of forums sponsored by the CSU, Chico Interdisciplinary Center on Aging. Dr. Seema Sehrawat, Center Director and faculty for the CSU, Chico School of Social Work, gives an overview of the Center’s work. She traces the growth of the Center since it began at CSU, Chico in 2009. Dr. Sehrawat also shares statistical and demographic information about older adults in Northern California – for example, 10.6 percent of Californians are 65 or older, but the percentage for the 20 Northern California counties is 14.2 and the percentage for Butte County is up to 15.8. The Center connects the University with the community and works in collaboration with community resources, such as Passages. Programs also provide information for students who plan to work in the field of gerontology. 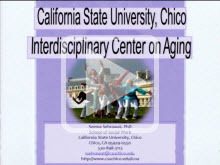 More information is available at the Interdisciplinary Center for Aging website at http://www.csuchico.edu/icoa/index.shtml. Patrick Abore helped start the 24-hour Friendship Line for the Elderly, a nationwide toll-free number (800-971-0016). This number now receives 2,000 incoming calls per month, and those who staff the service place 3,000 outgoing calls per month. The impetus for creating this service was research that showed very few older people called suicide prevention lines, even though older people have a higher rate of suicide than the rest of the population. Mr. Abore discusses the risk factors for suicide in later life. He also outlines the challenges in assessing suicidal tendencies in older people. Both speakers are working on the suicide prevention campaign for the North State region as part of the California Mental Services Act. In this presentation, they share data about the scope of the problem and show the variations in suicide rates by gender, age, ethnicity, and method of suicide. They explain that rural areas tend to have higher rates of suicide, and Northern California is no exception. Far Northern California counties, including Butte County, have the highest rates of suicide in California. The speakers also point out that there are more resources than ever before to prevent and educate about suicide. California now has a statewide suicide prevention plan. 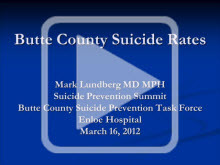 In 2009, suicide was the eighth-leading cause of death in Butte County, with 41 deaths. 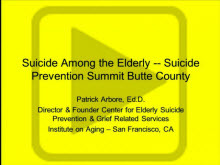 From 2005 through 2011, Butte County Public Health recorded 296 suicide deaths. In addition to the emotional toll this represents, Dr. Lundberg illustrates the financial burden of suicidal behavior on the medical system – for example, in 2008, there were 323,342 visits to hospital emergency departments in the United States related to suicidal behavior. His data and commentary show the scope of the challenges faced by professionals and laypersons working on suicide prevention. Since the death of his 19-year-old daughter, Suzanne, to suicide, Mike Gonzales uses the circumstances around her death in his work to prevent this tragedy from happening to others. After noting that Suzanne’s death in 2003 was one of 31,484 U.S. suicide deaths that year, he explains that a pro-suicide website was one of the factors in her suicide. These web sites actually encourage people, particularly young people, to commit suicide. After learning that there are no laws that deal with assisted suicide through the internet, Gonzales and others contacted Congressman Wally Herger’s office. The staff there drafted a bill that makes it a crime for a person to use the internet to promote or encourage suicide. Suicide-prevention advocates are campaigning to get the bill, known as “Suzy’s Law,” passed. Lyn Dorenzo is a CSU, Chico alumna who graduated with a double major in psychology and gerontology. After working with the elderly her entire career, Ms. Dorenzo is convinced of two things: that people need to grieve their losses as they come and that people need to develop healthy grief coping skills. Elderly people must often deal with grief because their losses tend to be more significant and the losses tend to come closer together. Ms. Dorenzo also helps her audience to understand that death is only one type of loss for the elderly – other losses include loss of independence, loss of pets, loss of being able to get to religious services, and others. Mr. Newton uses anecdotes from his work in the funeral business, combined with his research while earning his sociology degrees, to provide insight on issues around grief. He emphasizes that people trying to help those in grief need to meet grievers where they are, instead of relying on trite platitudes and clichés. Important lessons he has learned through his research and his first-hand experience is that grief expressed is grief diminished, and that many complicated grief issues have to do with issues earlier in life. 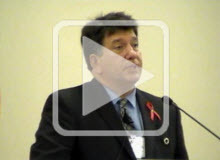 This presentation provides an overview of how older adults can utilize adaptive devices to preserve their independence and improve their quality of life. The emphasis is on devices to help with mobility, vision, hearing, and communication. In addition to discussing low-tech and high-tech adaptive devices, Ms. Bullock also presents no-cost and low-cost practical solutions for some of the disability issues faced by older people. This panel discussion provides a multi-dimensional, interdisciplinary point of view for substance abuse among older adults. The panelists discuss how this is becoming a major challenge for professionals as the large baby boom generation retires, increasing the numbers of people needing mental health services geared toward seniors, including addiction treatment. 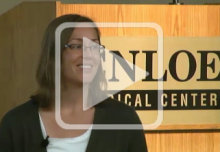 Ms. Fassieux and Dr. Onder explain the importance of preventive health care for older adults. 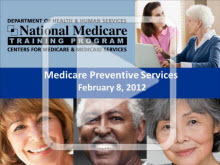 They also describe in detail how preventive care is covered by Medicare, who is eligible, and where one can get more information.